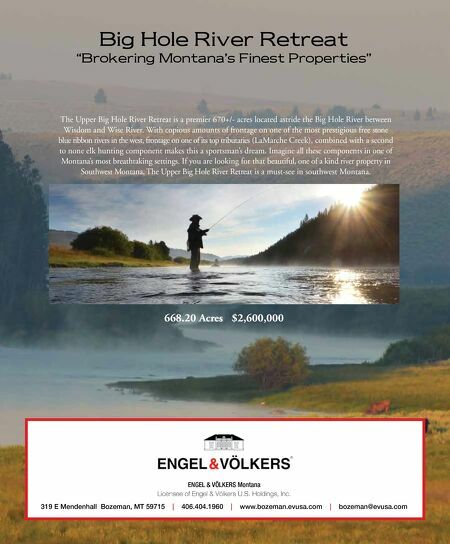 ENGEL & VÖLKERS Montana Licensee of Engel & Völkers U.S. Holdings, Inc. 319 E Mendenhall Bozeman, MT 59715 | 406.404.1960 | www.bozeman.evusa.com | bozeman@evusa.com Big Hole River Retreat "Brokering Montana's Finest Properties" 668.20 Acres $2,600,000 The Upper Big Hole River Retreat is a premier 670+/- acres located astride the Big Hole River between Wisdom and Wise River. 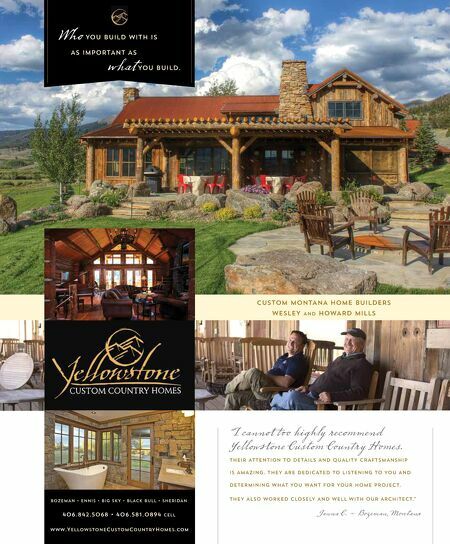 With copious amounts of frontage on one of the most prestigious free stone blue ribbon rivers in the west, frontage on one of its top tributaries (LaMarche Creek), combined with a second to none elk hunting component makes this a sportsman's dream. Imagine all these components in one of Montana's most breathtaking settings. If you are looking for that beautiful, one of a kind river property in Southwest Montana, The Upper Big Hole River Retreat is a must-see in southwest Montana.